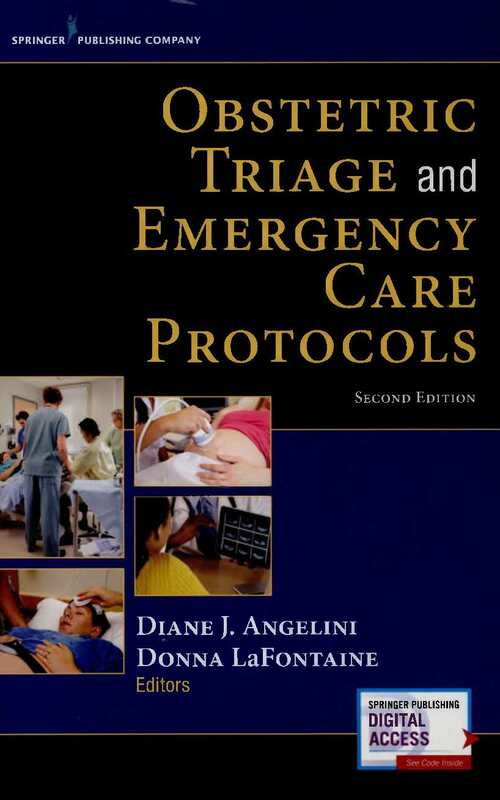 Авторы: Angelini D. J., LaFontaone D.
With more women than ever seeking obstetric triage and emergency services in obstetric triage units, obstetric providers need to be aware of triage assessment and evaluation protocols. This prize-winning pocket guide, containing management guidelines for obstetric triage/emergency settings, delivers critical information on obstetrics, midwifery, emergency, and family care for both students and seasoned clinicians. As with the first edition, all of the newly revised chapters take a strong collaborative and interprofessional approach to clinical conditions in the obstetric triage setting. With specific clinical protocols for more than 30 clinical situations, this fully updated second edition includes two completely new chapters on sepsis in pregnancy and triage acuity tools, along with updated guidelines for hypertension, sepsis, and postpartum complications. Each protocol comprises presenting symptomatology, patient history and data collection, physical exam findings, laboratory and imaging studies, differential diagnosis, and clinical management protocol/follow up. Plentiful figures and images, reference tables and standardized forms for reference and usage, algorithms, and clinical pathways illustrate chapter content. Esteemed contributors include midwives, nurse practitioners, obstetricians, gynecologists, and maternal fetal medicine faculty who evaluate nearly 30,000 OB visits per year.